Start-up Denmark lets you live and launch your start-up in one of Europe’s most entrepreneur-friendly countries. It is a start-up visa scheme for talented entrepreneurs who want to grow high-impact start-ups in Denmark. Accepted applicants get a residence and work permit for Denmark valid for two years plus possibility of extension. And this is much more than just a permit: It allows you to build your business in a renowned entrepreneurial ecosystem supported by great public business development initiatives and access to the European Single Market. Besides access to various programmes and subsidy schemes this includes free tailored counselling in public business development centres. Here, consultants can boost your start-up and guide you through Denmark’s vast opportunities for entrepreneurs, such as accelerators, co-working spaces, investment funds and grassroots initiatives. Moreover, you get access to most welfare benefits – such as healthcare and education. This also applies to accompanying spouses and children. Start-up Denmark is co-led by the Ministry of Business and Growth and the Ministry of Immigration, Integration and Housing. YouNoodle runs this website and provides application handling services. Denmark has a large network of public and private entrepreneur supporters, accelerators and incubators. You will have access to pitch competitions, investment funds, collaborative research centres and much more to unleash the potential of your start-up. Denmark is a hub for cutting-edge companies in a variety of industries. This includes some of the European Union’s top clusters regarding life science, ICT, design and clean-tech & sustainable energy. Linking continental Europe to Scandinavia, Denmark has a unique geographical location. This is facilitated by an excellent infrastructure that not only connects your start-up with 500 million European consumers, but also offers you the best IT infrastructure in Scandinavia. Dealing with Danish authorities, you experience one of the world’s most transparent public systems with virtually no corruption. Bureaucracy in business, government and the daily lives of Danes is very limited, and Denmark’s business regulation is known for its low level of red tape. Start-up Denmark is your gateway to one of the world’s richest countries and has a highly developed welfare system. As 86% of Danes speak English, communication ought to present no problems. Denmark also ranks as one of the world’s safest countries, offering an easy-going and sophisticated lifestyle. Informal is the essence of Danish work culture. In fact, the Danes enjoy the best work like balance in the OECD. Dress is casual, work hours are flexible, and discussions are open. Danes take long holidays and prioritize time with friends and family, but also represent a highly productive and innovative work force. Start-up Denmark is a visa scheme launched by the Danish Government to allow talented entrepreneurs to relocate and grow high-impact start-ups in Denmark. You apply on the basis of a business plan which is evaluated by an expert panel. If the panel approves your business plan, you are eligible to apply for a residence and work permit as a self-employed entrepreneur. The permit is granted for a period of up to two years with the possibility of extension for three years at a time. Start-up Denmark is for self-employed persons, and only non-EU (European Union) and non-EEA (European Economic Area) citizens can apply. Up to three non-EU, non-EEA citizens can submit a business plan as a team. If the business plan is approved by the Start-up Denmark expert panel the applicants must apply individually for a work and residence permit at the immigration authorities. A non-EU, non-EEA citizen can submit a business plan together with EU/EEA citizens. EU/EEA citizens do not need residence and work permits for Denmark due to the EU rules on free movement of persons and services. If you’re an EU/EEA citizen and want to set up a business in Denmark, you can find information about doing business in Denmark here and about immigration here. What types of businesses are accepted? Start-up Denmark is for innovative and scalable businesses with a clear growth potential. Therefore, businesses such as restaurants, consultancy firms, retail shops and import/export enterprises will generally be rejected and thus not presented to the Start-up Denmark expert panel. How is my business plan evaluated? The business plans are assessed by a minimum of three members of Start-up Denmark’s independent expert panel. Assessments are based on scores from 1 to 5 given in relation to five evaluation criteria. To receive an approval you need both at least 3.0 in average score for all five criteria and additionally at least 4.0 in the recommendation criteria. The expert panel evaluates the start-up for its possibility to grow and create jobs in Denmark. Therefore, it should be demonstrated that the business model is scalable – e.g. that it has the potential to significantly grow. 5. Can this start-up be recommended for Start-up Denmark? Start-up Denmark aims to attract growth-oriented, innovative and scalable start-ups that bring ideas, network and knowledge to Denmark. Consequently, the expert panel estimates the degree to which start-ups contribute to this end. The recommendation score sums up the panel’s assessment of the first four criteria taken altogether. It is thus an expression of the panel’s overall perception of the quality of the business plan and the applicant(s) behind it. What happens to my application once I have applied? Initially all applications will be screened by the Start-up Denmark secretariat to make sure it meets the requirements for being evaluated by the expert panel. The typical reasons for an application to be screened out is if the applicant is an EU-citizen, if the application is not submitted in English, if the business model does not have an growth potential (as a general rule businesses such as restaurants, retail stores, smaller trade, import and export businesses are screened out) or if the information provided is not sufficiently clear and/or credible. Applicants will be noticed if their application is screened out. It is not possible to appeal if you application is screened out. If the application is not screened out it will be forwarded to the expert panel for evaluation. How long does the regular application process take? Your business plan is typically evaluated by the Start-up Denmark expert panel within six weeks of submission. There may occur longer processing time. You receive the outcome of the panel’s evaluation from the Start-up Denmark Secretariat. If your evaluation is positive, you can apply for a residence and work permit according to the Start-up Denmark scheme at the Danish Agency for International Recruitment and Integration. The agency usually considers applications within four weeks of submission. You can read more about residence and work permits for entrepreneurs here. What is the expert panel? The Start-up Denmark expert panel evaluates your business plan. It is staffed by experienced and independent business consultants. Do I get notified if my application is rejected? Yes. All applicants are notified about the outcome of the evaluation of their business plan. In most cases, you’re notified within eight weeks of submission. It is possible to complain against the evaluation by the expert panel to the Danish Business Authority. Complaints are assessed by a minimum of three members of the expert panel with no previous insight in your original application. Instructions for filing a complaint can be found in rejection emails from the Start-up Denmark Secretariat. Do I need prior investment to apply? No prior investment in your start-up is required to apply. However, if your business plan is approved by the Start-up Denmark expert panel, and if you submit your application for a residence and work permit, you must document that you can support yourself financially for at least one year in Denmark. If your family is accompanying you to Denmark, you must also provide documentation of your ability to support them. You can read more about the amounts required and necessary documentation here. Yes. Please read more here. Does Start-up Denmark provide financing? No. Start-up Denmark only provides work and residence permits to accepted applicants. Entrepreneurs are themselves responsible for raising all required capital and must be able to sustain themselves financially. You can read more about financial requirements here. Can I submit my application in my own language? Only applications submitted in English will be accepted for evaluation. How long does the extension application process take? Your progress report is typically evaluated by a representative of the Start-up Denmark expert panel within four weeks of submission. You receive the outcome of the expert panel representative’s evaluation from the Start-up Denmark Secretariat. If your evaluation is positive, you can apply directly for an extension of your work and residence and work permit under the Start-up Denmark scheme at the Danish Agency for International Recruitment and Integration. The agency usually considers applications within three months of submission. Please note that you must submit your application for an extension to the Danish Agency for International Recruitment before the expiry date of your current residence and work permit, even if the expert panel has not yet finalized its evaluation of your progress report. How is the extension interview carried through? If the expert panel representative finds that your progress report is unclear, you will be called to an interview with the representative. Interviews are generally scheduled to 45 minutes. During the first 15 minutes, you are asked to present your case and the status of your start-up company. In the remaining 30 minutes, you are interviewed about the progress of your company. The interview will be conducted by the expert panel representative who is responsible for the assessment of your progress report. A government official representing the Start-up Denmark Secretariat will participate as an observer. The interview will be recorded and journalized. After the interview, you will be notified in writing about the outcome of the interview (approval or rejection). The interview will be conducted at the premises of a regional business development center located either in Copenhagen, Aarhus, Aalborg, Odense or Vordingborg. The location may be any of the centers discounting the region your business is registered in (according to its CVR number). You will receive further information about the process and practicalities, if you are called for an interview. How is my progress report for extension evaluated? The extension application process is described here. What happens if the progress of the company is approved? 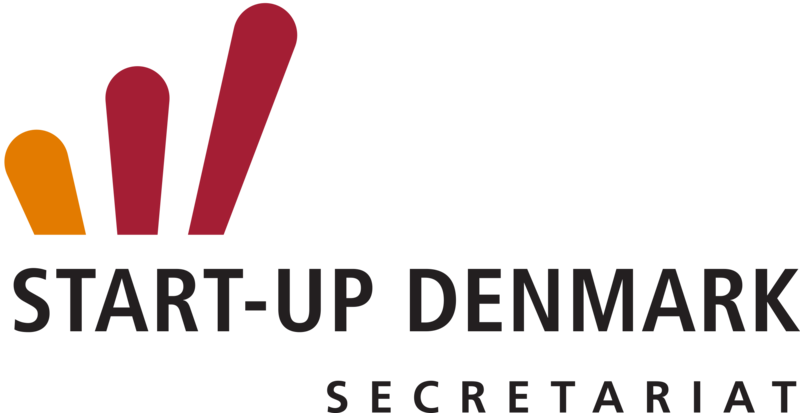 If your progress report is approved by a Start-up Denmark expert panel, you receive an approval letter from the Start-up Denmark Secretariat. The letter entitles you to apply for an extension of your residence and work permit as a self-employed entrepreneur under the Start-up Denmark scheme at the Danish Agency for International Recruitment and Integration. Therefore, the approval of the progress does not in itself constitute an extension. The approval is a precondition for applying for an extension of your work and residence permit at the Danish Agency for International Recruitment and Integration. What happens if the progress of the company is rejected? It is possible to complain against the rejection of your progress report to the Danish Business Authority. A representative of the Start-up Denmark expert panel, who was not involved in the original evaluation of your progress report, will be selected to reassess your case. You will receive instructions on how to file a complaint, if your progress report is rejected. Feel free to ask – your request will be answered either by the Start-up Denmark Secretariat or by YouNoodle.